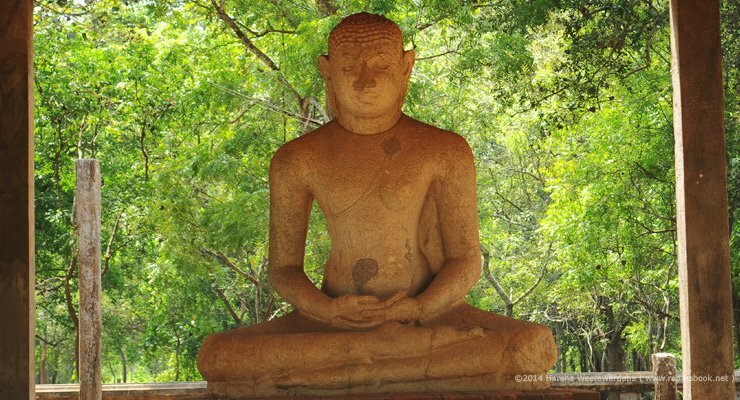 Samadhi Statue - Anuradhapura. - Locations in Sri Lanka. 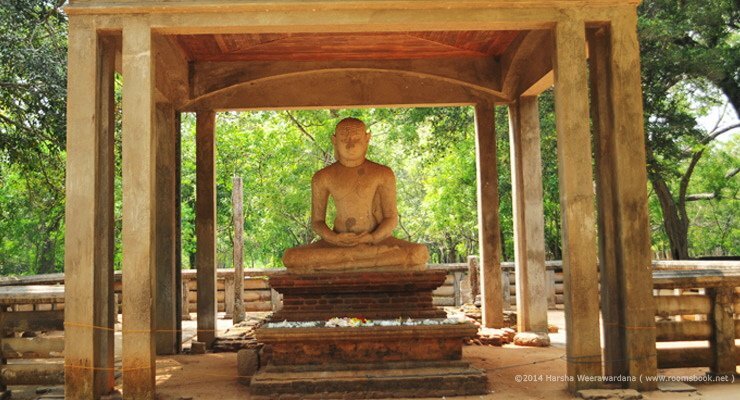 The Samadhi Statue is a statue situated at Mahamevnāwa Park in Anuradhapura, Sri Lanka. The Buddha is depicted in the position of the Dhyana Mudra, the posture of meditation associated with his first Enlightenment, also called Nirvana. 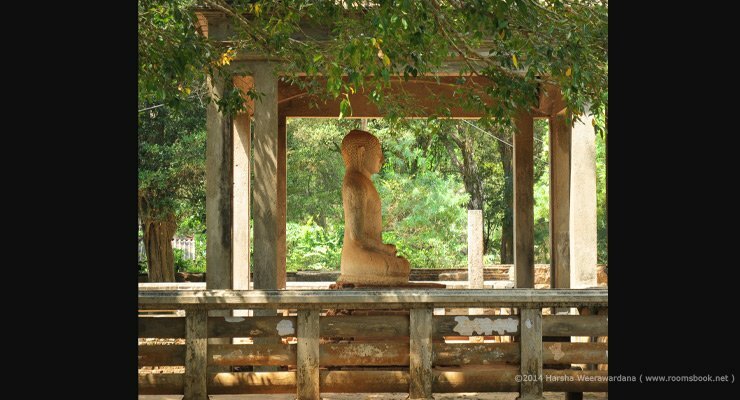 Whether the Buddha's Enlightenment was the experience technically called Samadhi, or some other phenomenon, may depend upon the philosophical allegiance of the believer. In the Dhyana Mudra the Buddha sits cross - legged with his upturned palms placed one over the other on his lap. This position is universally known throughout the Buddhist world, and this statue is therefore one of the most typical pieces of Buddhist sculpture. It is not to be confused with the very similar "Earth-Touching Mudra," which depicts the simple action the Buddha took to fend off the illusions projected by Mara, who was desperate to prevent the Buddha from realizing that his, Mara's, projections, and with them the entire world, are an illusion. This statue is 8 feet in height and carved from granite.